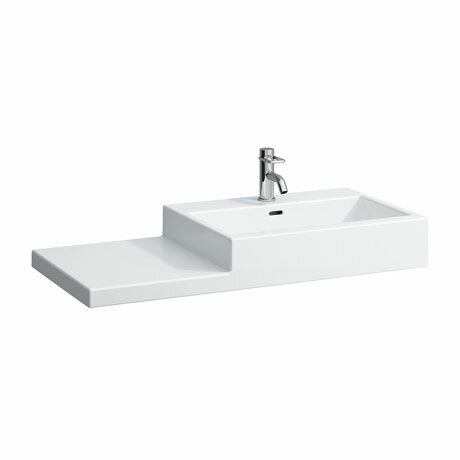 The Living collection from Laufen features minimalist designs and defines ceramic in cubic form. Clear lines characterise this bathroom design with its strong aesthetic appeal. This wall mounted 1 Tap Hole Basin features a handy counter shelf area (left and right hand options available) for added practical storage and an integral overflow. Made from high quality vitreous china it is backed by Laufens 5 year guarantee.